One minute's walk from JR Tokushima Station. Free Wi-Fi in all rooms. 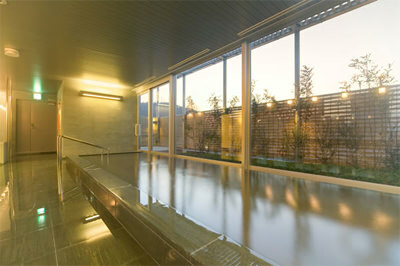 Free usage of natural hot spring spa at the top floor for hotel guests. Business trip guests and holiday makers are able to ease their fatigue and restore their energy for the next day in Hotel Sunroute Tokushima, where a natural hot spring spa is offered as a part of the service.